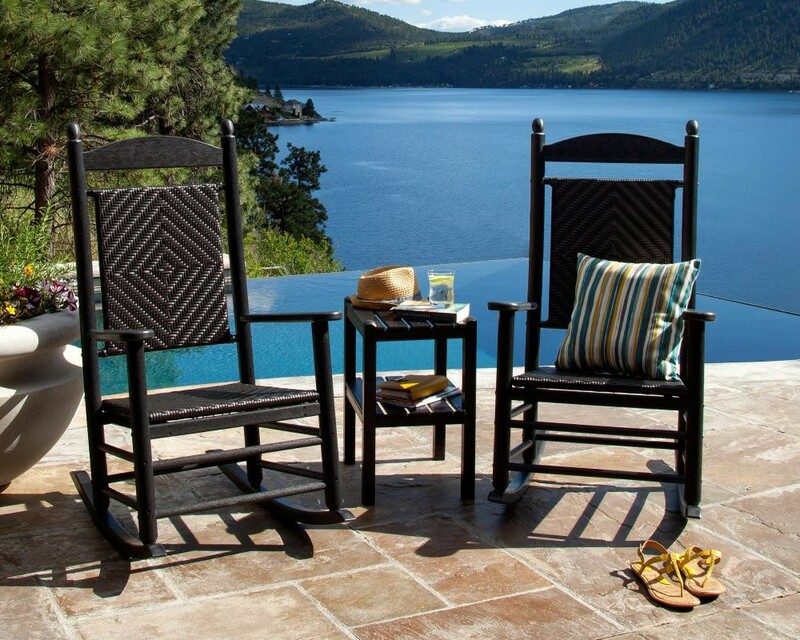 A touch of woven wicker, a touch of brilliant color. 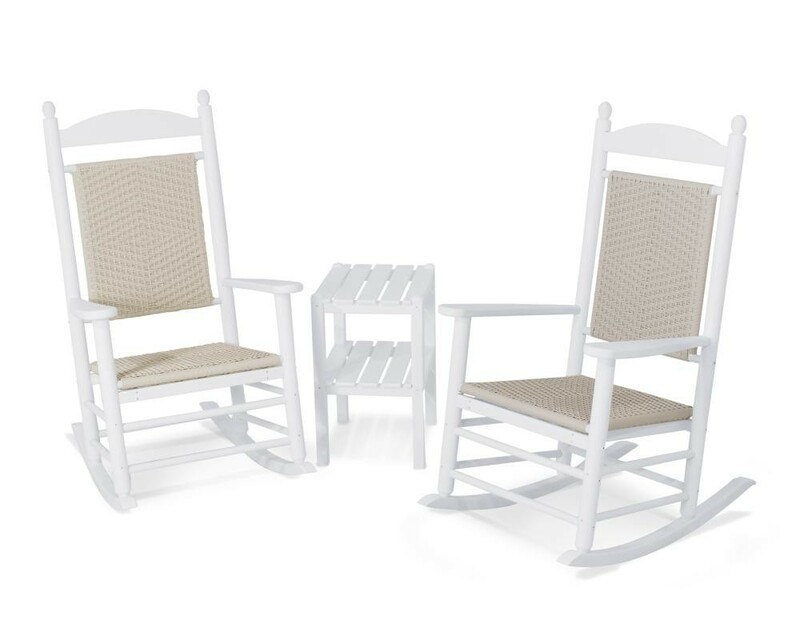 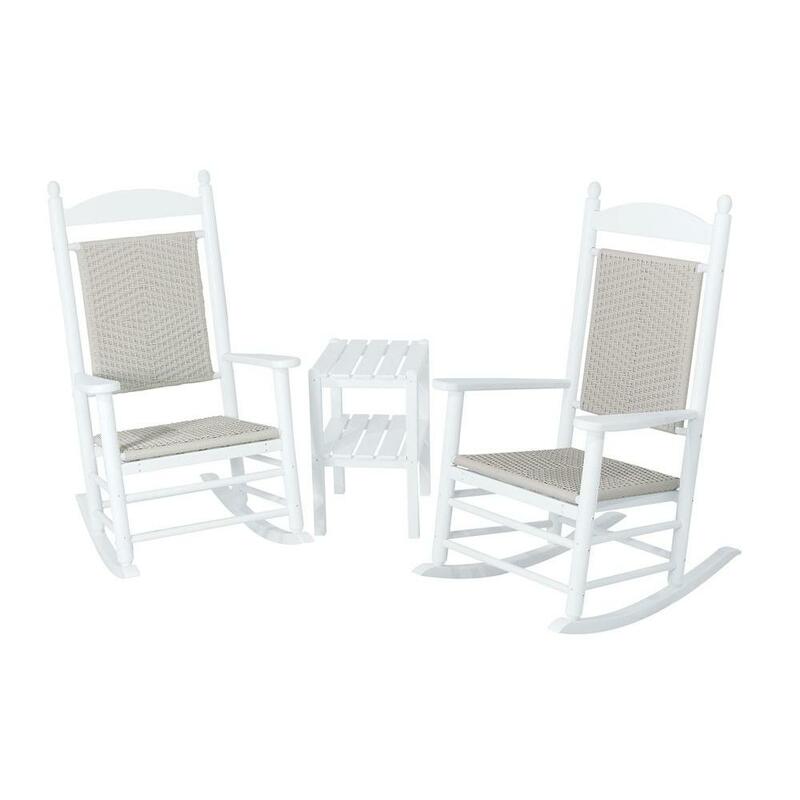 The POLYWOOD Jefferson 3-Piece Woven Outdoor Rocking Chair set offers plenty of backyard elegance. 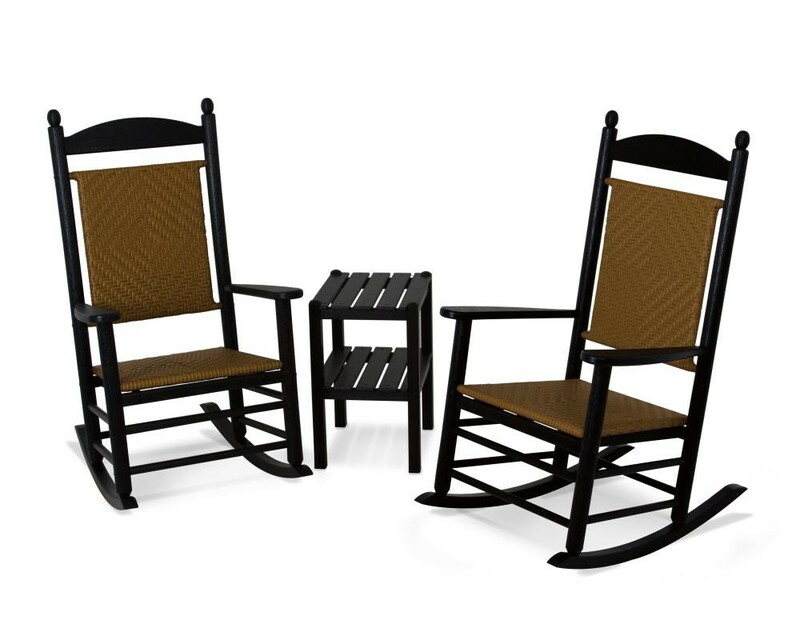 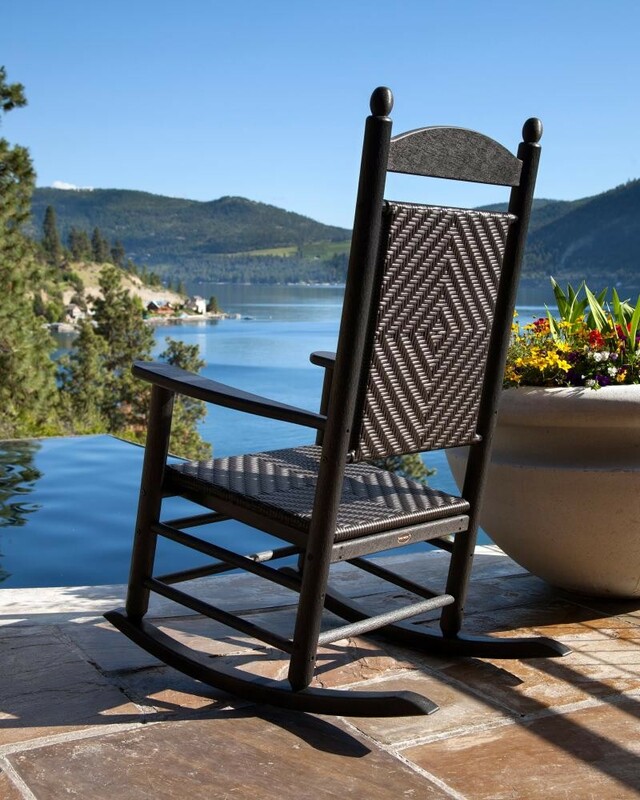 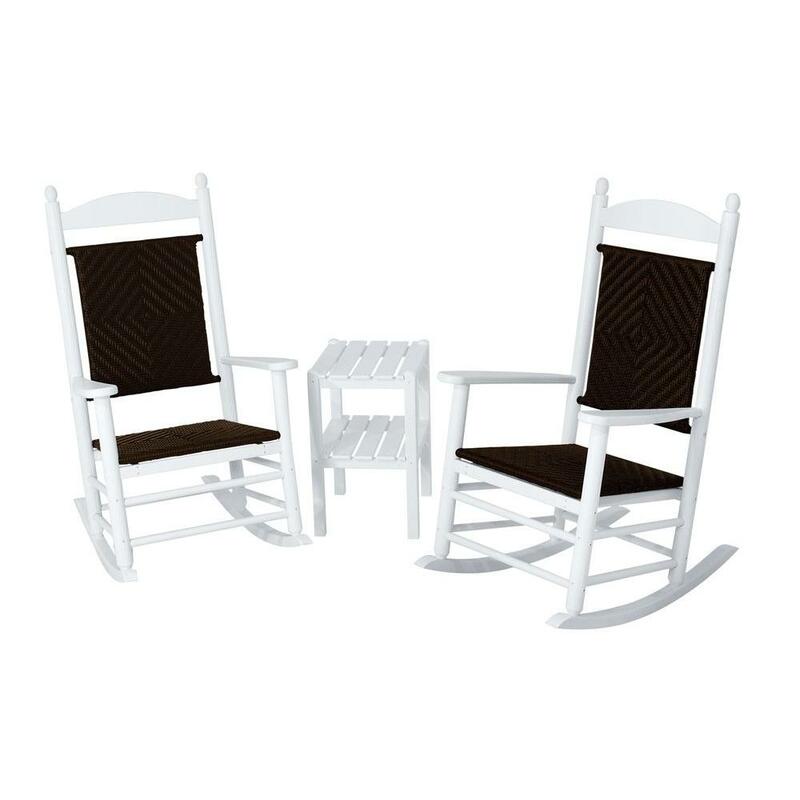 This set includes two Jefferson-style outdoor rocking chairs with woven seats and backs on POLYWOOD frames, as well as a small two-tiered square patio side table to hold your drink or your book. 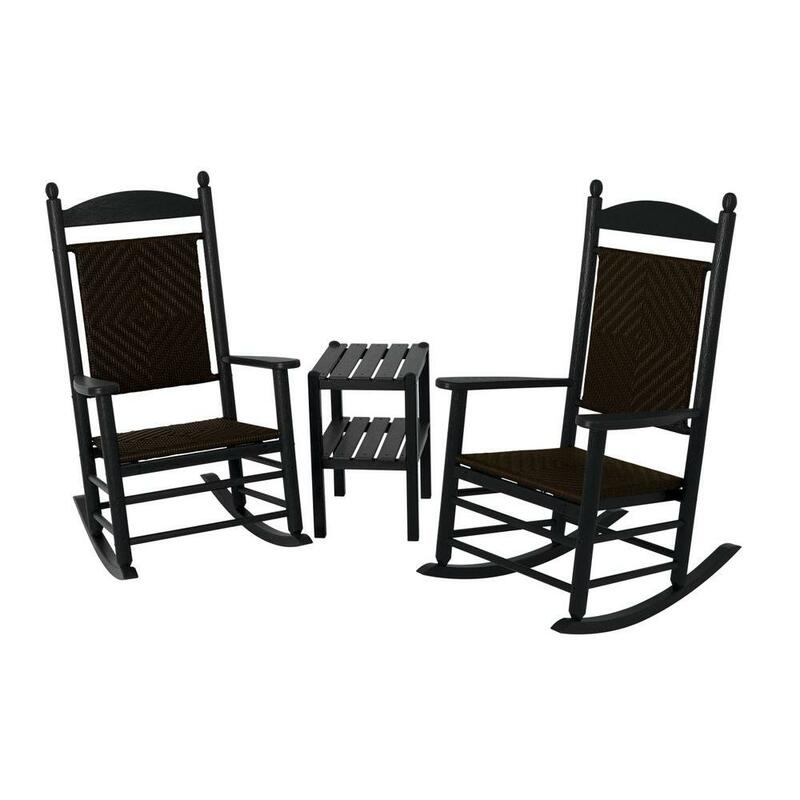 This POLYWOOD set offers you all of the elegance of painted wood and woven wicker with none of the stress and upkeep needs. You won't have to worry about insects. The color won't ever fade. 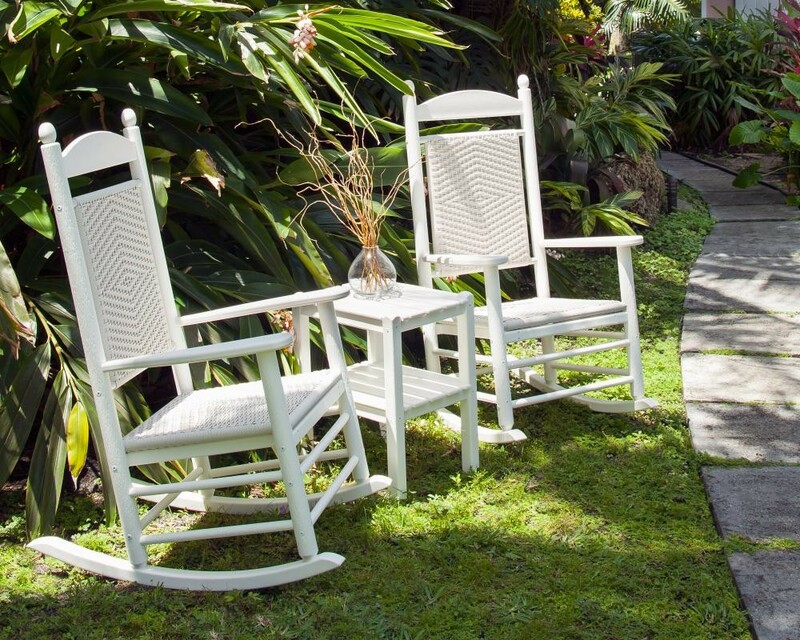 Don't worry about chips, stains, tearing, splintering, rotting, or warping. 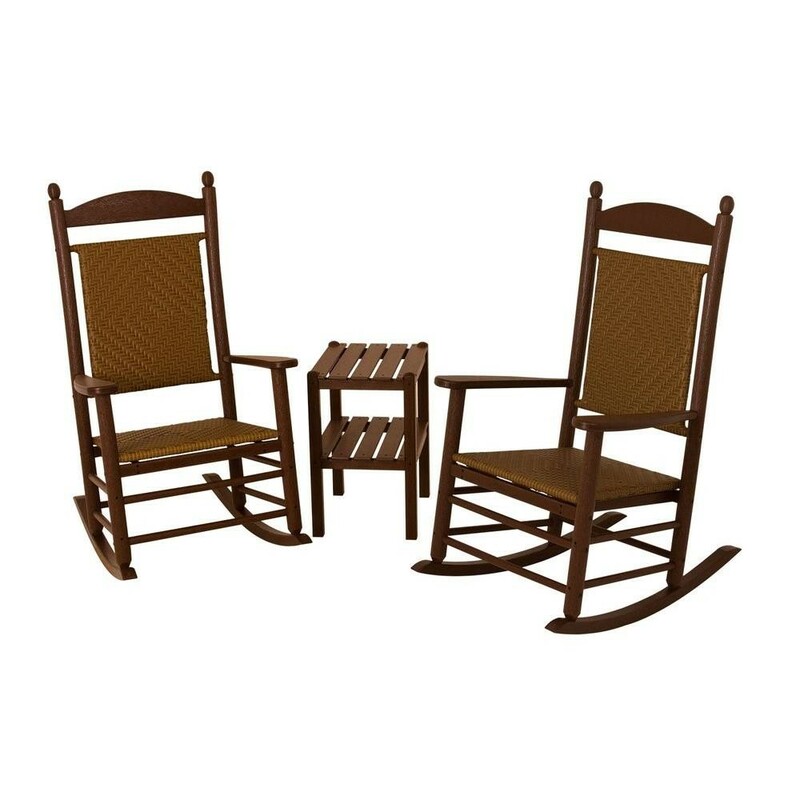 The pieces in this set will never need painting, sanding, or staining. 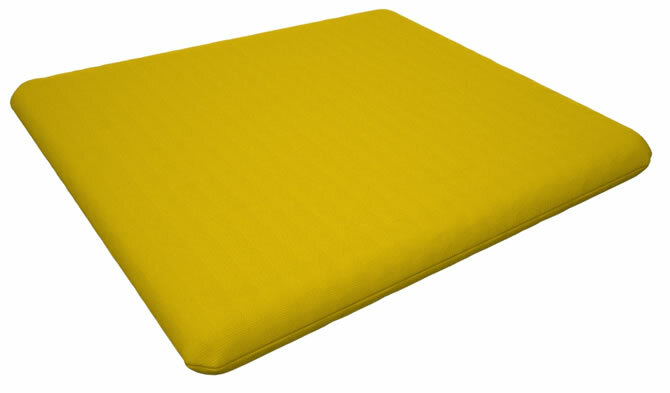 The only substance you'll ever have to apply is soap! 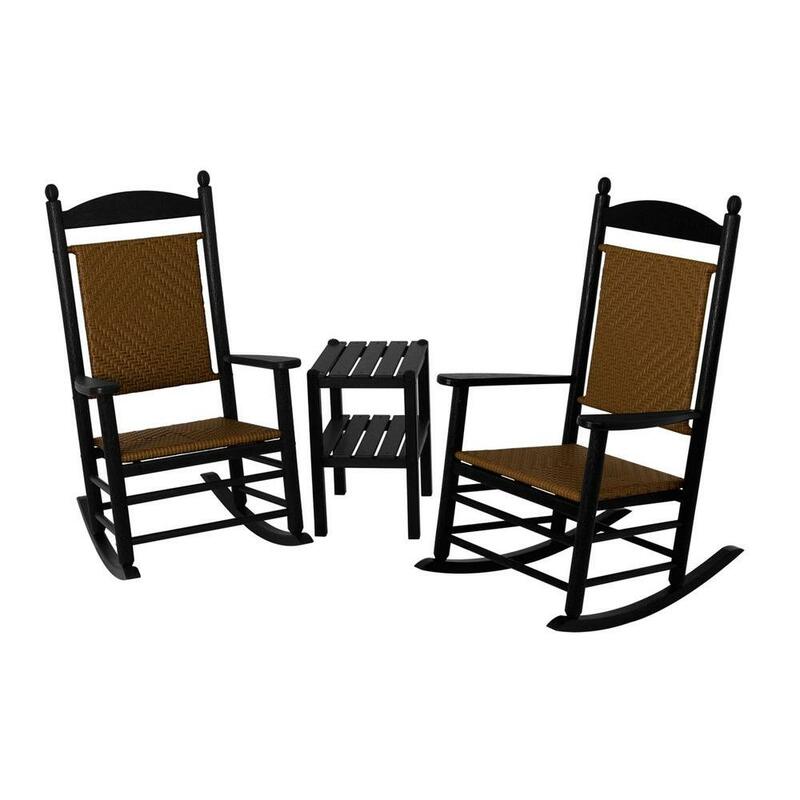 The corrosion-resistant commercial grade stainless steel hardware helps you easily assemble this set, which you can then enjoy for twenty years or more. 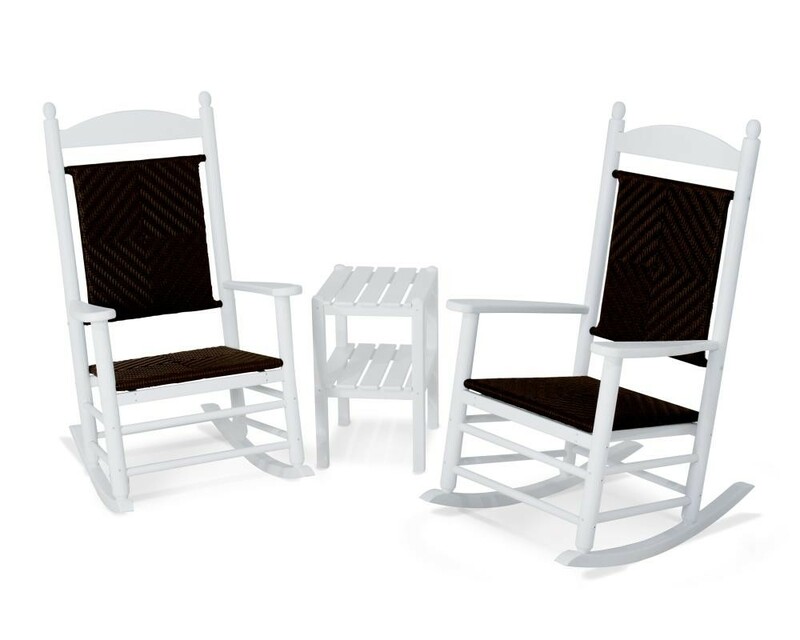 It's the perfect no-fuss outdoor set for any climate, and it creates a lovely outdoor space where you and a loved one can spend some time talking about the things that really matter. 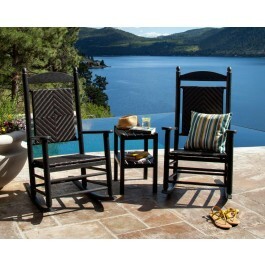 Enjoy this set in five different frame and color combinations. It's easy to find the one that suits your personal style. Order yours today.